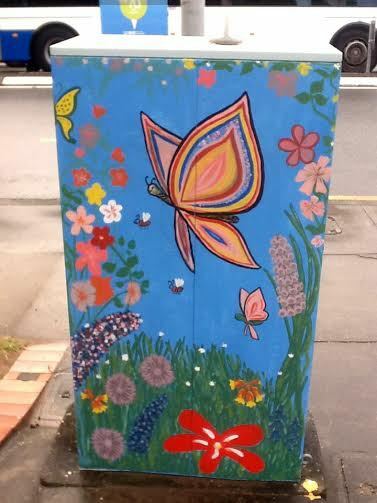 No one likes being caught in traffic or waiting for the lights to change but travel journeys across Brisbane are all the more pleasing with the help of boldly painted and fun traffic signal boxes. 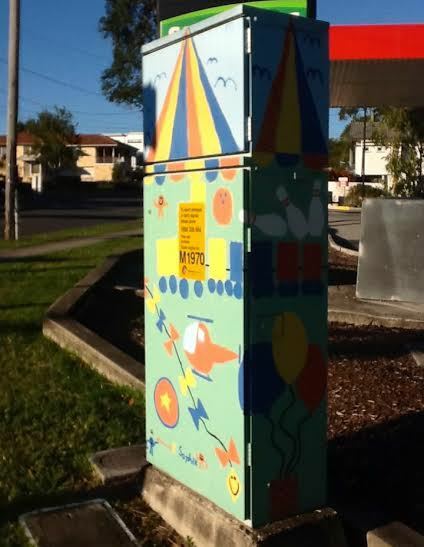 Who else has spotted these hand painted and original artworks by local Brisbanites in suburbs across the city. 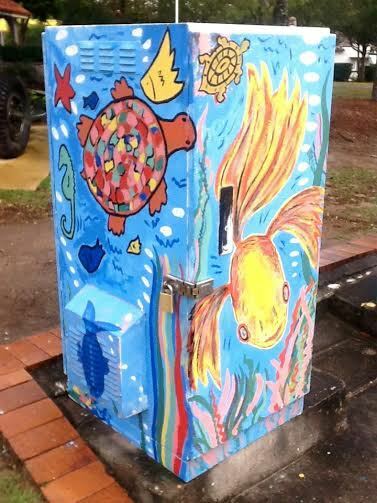 Transforming the metal boxes has been an initiative of the Brisbane City Council's Urban Smart Project to turn cities into brighter places by painting plain traffic signal boxes with original artwork. 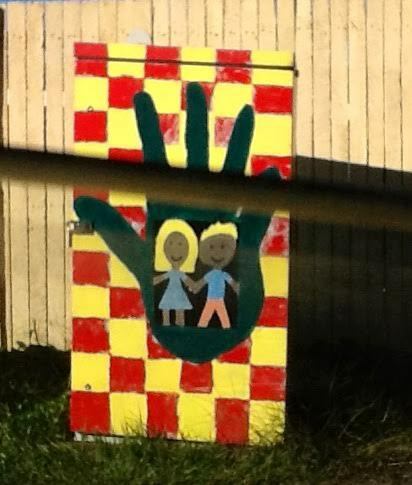 Boxes are nearly always located at busy intersections and each drawing is individual and original - expressing the local artistic spirit of the suburb. Designs are positive and colourful and reflect the immediate environment, the character or culture of the suburb, the history of the area. community pride and creativity. Designs have been submitted and approved by the Council prior to commencing to give each box a vibrant new look. Families, school students, kids and older residents can all apply to be involved. It seems that beautifying boxes is part of a world wide phenomenum with cities like Connecticut, Dublin and Toronto following the trend.